Don’t wait! Top-up Dancing Love now !!! 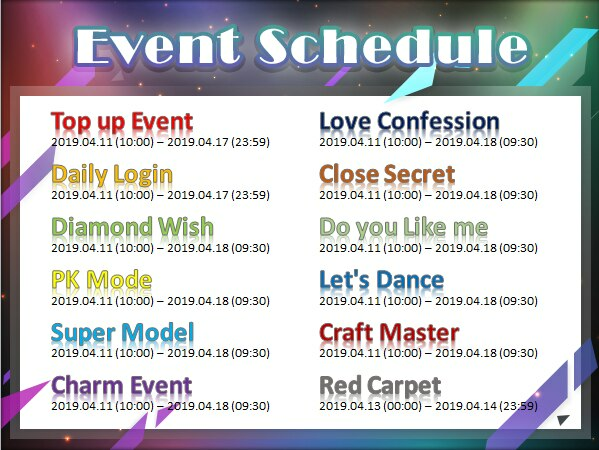 Login daily during event period to collect Love Shard *5. Accumulate Diamond Wishing during event period for bonus reward. Accumulate daily winning point to redeem rewards. Reward reset daily.